Sania Maskatiya is the leading and most promising fashion brand, which has won many awards on its stunning and wonderful collection of dresses. Now this fashion house has launched the latest and unique fashion collection titled MANELI. 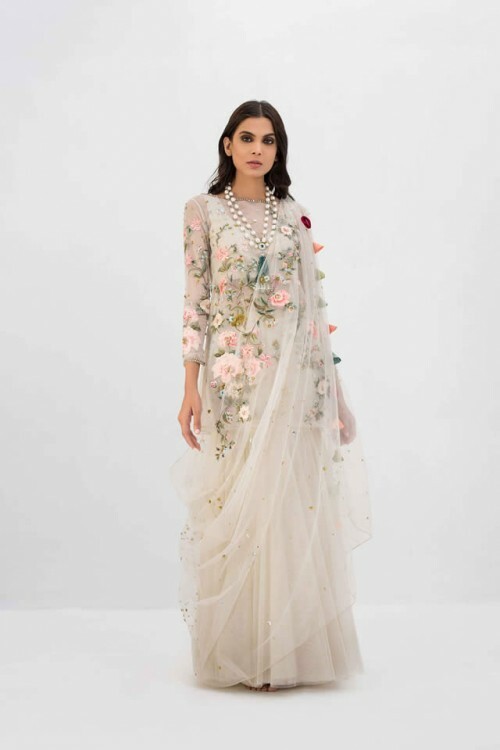 Sania Maskatiya MANELI Spring Collection 2019. The collection, MANELI is featured with signature handcrafted pieces of the fashion brand, Sania Maskatiya, which is perfect for blooming spring season. The collection is added with 17 distinct blossoming embellishments and digital printed vignettes. This fashion brand is well known for its specialized, textile design, versatile prints on pure textures fine craftsmanship and exceptional hues. This fashion brand is working for best craftsmanship and it is specialized and perfect in the craft. 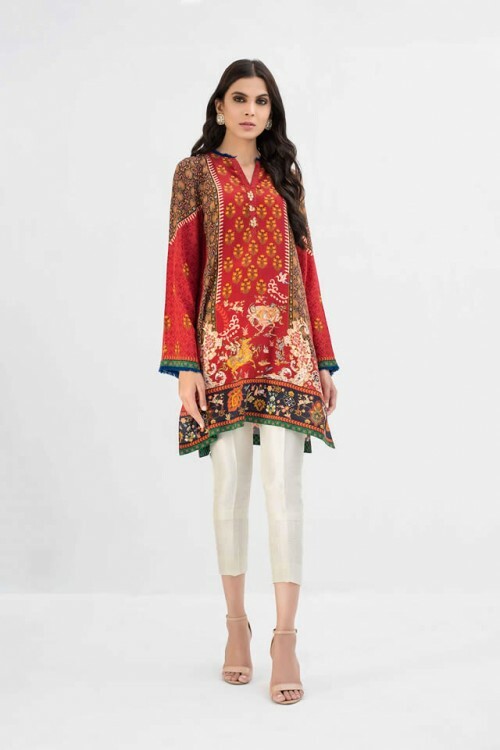 This fashion brand has rich textiles, fabric design and embroidery work in their pieces.